The dentist is not a punishment: Unfortunately, many children still think of a trip to the dentist as somewhat of a punishment. Many adults still do as well for that matter. We make a trip to the dentist’s office fun, enjoyable and something you look forward to. That’s why our patients have not only been with us for years but they also bring their families with them. Reward good work: If your children are doing a great job at brushing their teeth, we make sure they feel proud of this accomplishment. The best way to get a child to do something is to make sure they see a reward for those efforts. Teach a habit early: It’s not easy, but if you can teach a child to properly brush their teeth every day and even use mouthwash and floss, you are developing healthy habits that they will keep their entire lives. We will not only teach and encourage them to do so, but we will also give you tools and tips as well to help maintain their motivation between visits. Family friendly: If someone likes our services then they will not only return but they will also bring their entire family to us. That’s why we always put our best foot forward and give you elite quality service. We not only want to be your dentist but your families dentist for years. 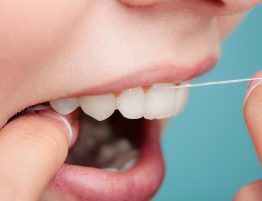 Safe and proven techniques: There is no shortcuts when it comes to the oral health of any of our patients and the same goes for your children. When you bring your children to us you are trusting us with a major responsibility and we take that very seriously. That’s why we go over every plan of action and go the extra mile to ensure that your children as well as you are happy. Clean and teach: As a parent, keeping your kids teeth healthy and clean is an ongoing challenge. We understand this which is why we take the time to teach your children healthy hygiene habits including brushing, flossing, using mouthwash and more to make sure that they are not only doing properly, but have the encouragement and motivation to keep it up. 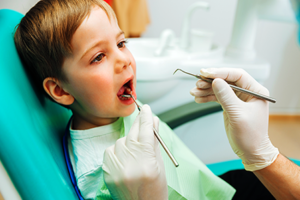 As you try and select a pediatric dentist Miami FL there are obviously several things you are going to look at first. Location, price and even recommendations are what we tend to look for prior to making a choice. However, there is something else you want to factor into your decision before it’s made. 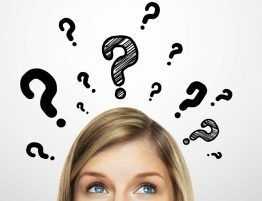 Is the pediatric dentistry Miami facility you are choosing really kid friendly? Any facility can claim to offer great services for children but do they really take the time to make sure that they have created a friendly and comfortable environment for children to visit? Dr. Julia Dison has worked with children for decades and understands what it takes to not only make a trip to the dentist fun, but make oral hygiene a daily practice as well. Parents have enough to worry about and our goal is to simplify things by teaching children the value of keeping their teeth healthy and clean and rewarding them for those efforts. It’s something that we have worked years to accomplish and that’s why entire families from around South Florida travel to pediatric dentistry Miami. Being the premier dental facility for the entire family means you have to start with its littlest members because they are the most difficult ones to impress after all. While there are many new tools and services offered to a pediatric dentist Miami FL, Dr. Dison believes that everything must pass the toughest of tests. That’s why when you bring your children in for a cleaning, braces, to treat a cavity or anything else, you know that the tools and services offered are the best in the industry and have a proven track record. To learn more about our kid-friendly facility or to schedule an appointment, give us a call today and speak with a member of our team. It is important to stick with one pediatric dentist in Miami Lakes for your children because it builds comradery and a feeling of comfort. Your child will trust a doctor if they see them again and again over the years and also take their advisement more seriously. Dentists and parents work as a team. The goal is to educate children on the benefits of good oral care and to help them develop healthy habits that they will use well into adulthood. It’s a team effort and that’s why working with the same doctor for years is advised. Another reason you want to stick with the same dental professionals is because they will know how to best work with the child. For example, if the child always has a positive attitude about getting their teeth clean, then that’s great. However, if the child is a bit nervous about the visit, seeing a familiar face will be very beneficial for them. 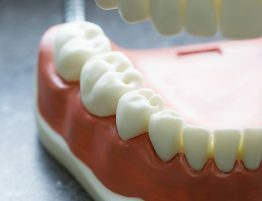 That’s why you also want to look for dental professionals with years of experience working with young children and who offer a variety of services that can be used. As a top pediatric dentist in Miami Lakes, you can count on our team for reliable service that we extend to everyone in your family, regardless of age. We are happy to show you what makes us the best and how we can assist your family in developing and practicing healthy oral care habits for years. Contact us today to get started by scheduling an appointment.